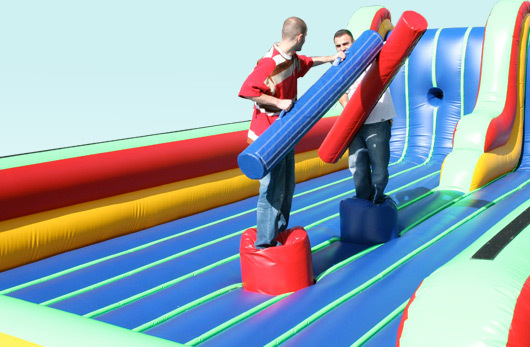 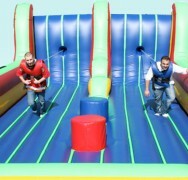 Battle away with friends and family on the Bungee Joust, the perfect inflatable for your church, school, rental business, or other institution. 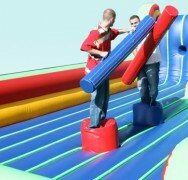 Tired of Jousting? 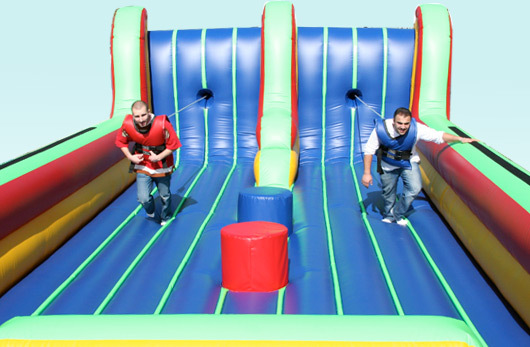 Twist yourself around with friends and family to see who can keep their balance the longest, or attach yourself to the bungee 12′ bungee cord and compete to make it the farthest. 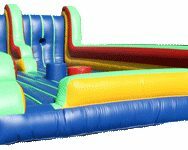 Measures 30’L X 17’W.